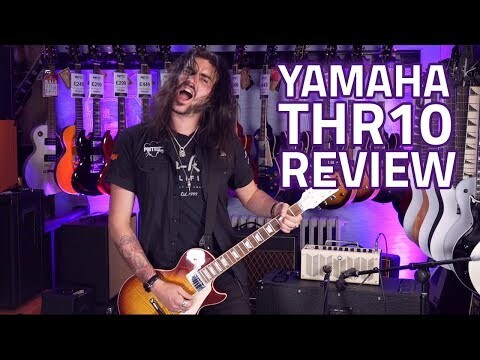 "The new yamaha gadget, the THR10 has been one of the staff's most played with new toys by long way! It offers a classy range of valve amp t..
"The new yamaha gadget, the THR10 has been one of the staff's most played with new toys by long way! It offers a classy range of valve amp tones and effects at a volume that won't upset your family, pets and neighbours and doesn't look out of place as an ipod dock in the living room. As well as this it can be used as an audio interface and works with electric, acoustic, anad bass guitars! In short, if you want a great guitar tone at a considerate volume, you need one of these..."
<b>Yamaha's VCM technology</b> delivers ultra-realistic reverbs and effects to complement your playing and push you farther; and true hi-fi quality stereo audio playback that no guitar amp can get close to – all wrapped up in a package designed to mirror how you really play off-stage. You have your big amp that sounds great cranked up to 10. 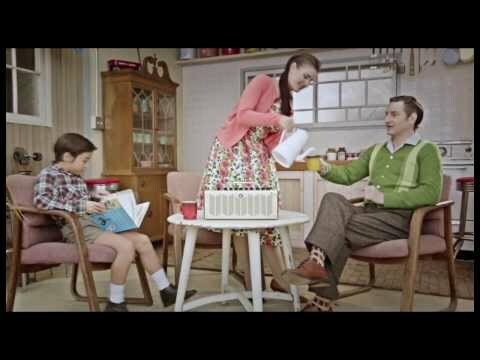 Maybe you have your practical, smaller amp for rehearsals and smaller shows. Now you have the perfect third amp. The amp for everything else, <b>THR</b>. Prepare to spend a lot more time playing guitar. I've had this for nearly a year now, and I absolutely love it. It replaced a Fender FM25 DSP that I essentially couldn't use because it was too loud for home use, and too ugly and clunky to be allowed in my livingroom. In contrast the THR sounds fantastic even at really low levels, looks great, and can stack away on a bookshelf when not in use. If it had a built-in looper it would be perfect and would get 5 star in performance and value for money. At the moment you have to put a looper in in front of all the effects, so you cannot have a different "voice" for your rhythm and lead. You have to either use pedals in front of the looper (which is kinda missing the point of having a flexible amp with built-in effects) or do your tone changes with the guitar. You can also plug this into your computer via USB and record via GarageBand. Your computer can even use the amp's speakers, which is nice as you don't have to rely on the tinny laptop speakers. It even runs on batteries, so it's super easy to take to jam sessions! This amp makes it easy to quickly dial in a tone I like, and buying it is probably the catalyst for me to start practicing more. (Because it's so quick and convenient now.) 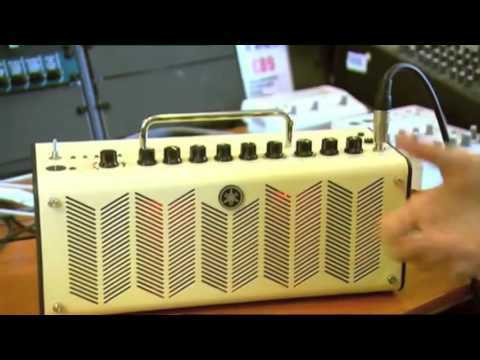 Even though it's not the cheapest small amp out there it is good value for the money.